As the London Olympics are still on, the Celebrity Sibsets for this week had to be children of Olympians. 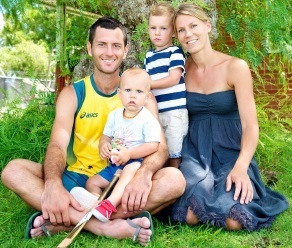 These are sibsets of those Australian Olympians who have won a gold medal at past Olympic Games, and still have young children. Jagger is getting so popular – of course so is the name of Jagger’s twin, Charlize.